At the age of 10, Julia Heagey Body shot her first arrow and that is when her love affair with archery began. It has carried her through every phase of archery. But her personal focus and affection has always been on coaching, teaching, and instructing and that is how she earned her induction into the Archery Hall of Fame. One of her first mentors was Hall of Fame inductee Clayton B. Shenk (class of 1973) . He became her long term guiding light, first instructing her and then asked for her instructing skills for others. She readily complied. Shenk dedicated many years working to get archery back into the Olympic Games. One of the requirements was NCAA recognition of archery as a competitive sport. Recognition began with training and certifying college level coaches and instructors and that was what Shenk asked Julia to do, and do it she has for more than half a century. In 1968 she taught the first NAA Instructor’s School at Stone Valley, in the continuing Ed Department of Penn State University. She had 40 students for the first accredited course given, but there were hundreds to follow. She not only taught the initial course, she constructed the curriculum, exhibiting more of her many talents. That curriculum was carried forward to other universities, used by her students to further certify other coaches. The program mushroomed from her beginnings. NAA Instructor Schools: 1968-1974 Julia coordinated the start up of annual National Archery Association certification schools at Stone Valley, an outlying campus of Penn State University, State College, PA. The accredited course led to hundreds of qualified instructors and coaches at major colleges and universities across the country. It also led to the creation of the National Archery Association’s instructors manual in 1976 which has been reprinted in 8 languages, and continues in use today. Julia was co-author of the NAA instructor’s manual. Her start up work and continuous involvement has led to 75 levels 1, 2, 3 and 4 instructor courses involving more than 1,000 coaches. She taught instructor courses at major institutions including Penn State University, University of Texas, Duke University, University of Miami, University of Maine, University of Hawaii, James Madison University, Oklahoma University and numerous smaller schools. Julia was invited to teach instructor courses in South Africa in 1976 and Yugoslavia in 1992. From 1999-2006 she taught level 3 and 4 instructor courses at the Olympic training center in Lake Placid. She also taught courses at the Olympic Training Centers in Squaw Valley, Colorado Springs and Chula Vista, California. In 2005 she participated in the FITA world Coaching seminar in Busan, Korea. Julia is currently a NAA Level 5 coach and instructor, the highest attainable level. 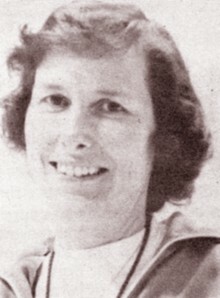 In 1988 she was awarded college coach of the year honors while coaching archery at Millersville University. Author: 1976 co-author, NAA Instructor’s manual; 1980 co-author of the Guide for New Archers; 1980 Authored Archery Section, Pennsylvania Department of Education curriculum; 1980 co-authored the archery chapter for American Association of Health Physical Education and Recreation book. NAA administration: For 38 years, from 1968 through 2006, Julia served intermittently, as needed, on the NAA Education committee, currently labeled the Coaches Development committee. 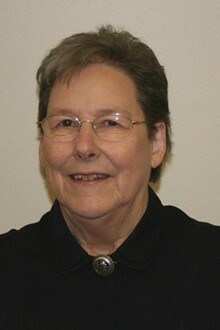 She was a member of the NAA board of Governors from 1994 to 1997. Copyright: 2014 Archery Hall of Fame & Museum Inc.